Hey there you guys :D Good day to you. Without any websites or third party freeware you can turn your photo into an obamicon hope using a script! !Easiest way available to date. And if you have anything easier then please! I'm just that lazy!! Good day, and welcome to another tech tip, today we will be improving the amazing gimp a little bit more, by adding third-party plugins originally made for Photoshop using the Pspi plug-in. for information on installing this plugin go to this guide which demonstrates how to do it very easily!! Of course all the 30 plug-ins we are about to add are free of charge and the are copyright of their respective owners, but i packed, tested, and uploaded them, so if you want to refer to it, please use my link (or give me a better one than use it :). Just extract the plug-in (compressed in .7Z file format for smaller more efficient size and download speed), all compatible and tested on gimp 2.8 [windows XP Sp3] to the directory of your choice, mine was "C:\Program Files\GIMP 2.8\PSplugins\". Well So far, not much..! Compatibility issue with office 2003 fixed. 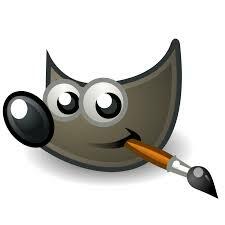 I only added this tweak for reference in a another post about gimp 2.8 which you can check from here. Good day to you, wherever you were This software is guided towards drawing, and let it do the rest, so anybody can master it in no time because it's super easy to use, guided toward artists, like you, so download it and give it a try, it's only 8mbs, and show the world your talent.